Everything is relative, but Lawrence and Katie had a big wedding, that's assuming 250+ guests is "big" to you. But that means a great party with so many friends and family. Their reception took place at the Loews Coronado Bay Hotel. It was mid afternoon, but inside the massive ballroom you could have guessed the party was well into the late evening. Uplighting and a beautifully decorated/orchestrated by the talent of Crown Weddings. I kicked off these wedding festivities by grabbing Melissa and Gus and saying, "this was a day I have been waiting on for nearly 10 years." Wait ... me? My former intern, Melissa, and her groom Gus, just as their wedding festivities kicked off. You see, Melissa and I used to work together. In fact she was my intern at the Port of San Diego. We shared many hours sitting together, working on projects and laughing. 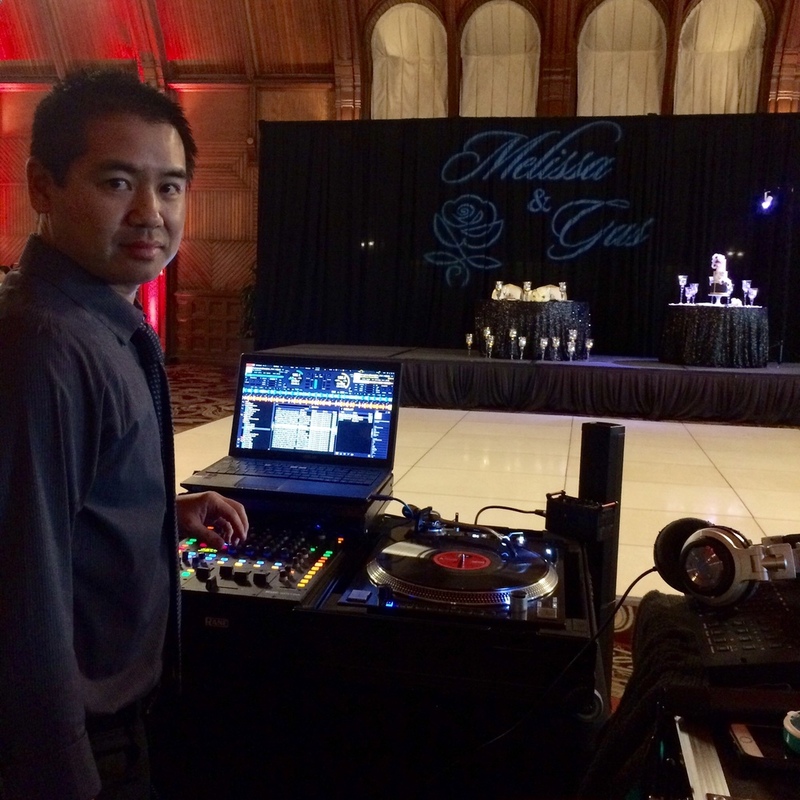 Occasionally, on Monday mornings, I would share my adventures of a wedding I DJ'd over the past weekend. It was then, she said, "when I get married - probably in like 20 years - you're DJing my wedding." Well, it only took eight years to find her life partner and it was as much fun as I imagined. Gus and Melissa's wedding at the Hotel Del Coronado (October 10, 2015), in the historic Crown Room was special with hundreds of friends and family joining in on the party. 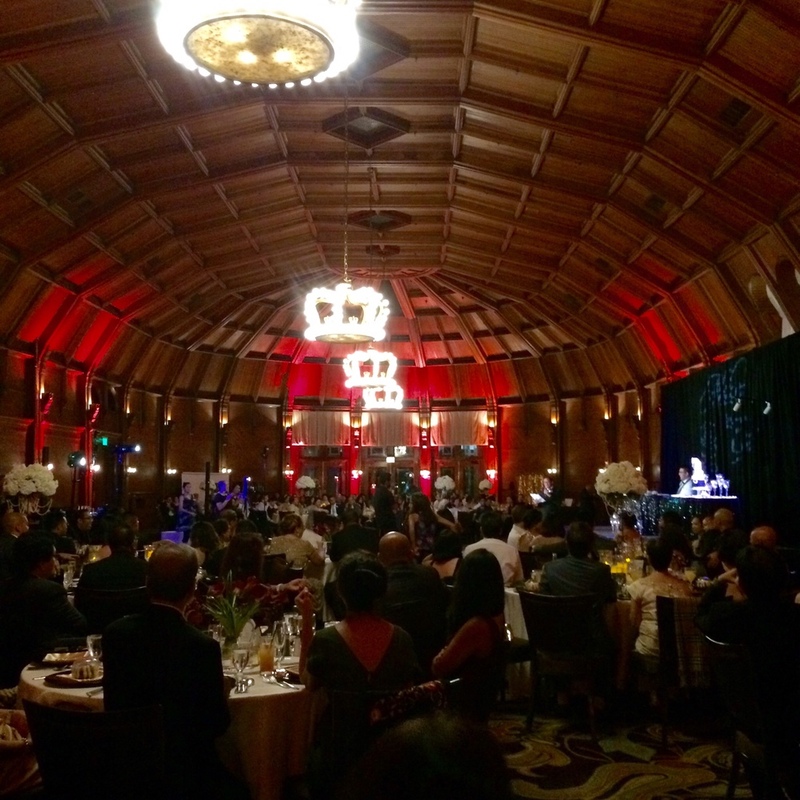 The Hotel Del Coronado Crown Room, with uplighting, monogram, DJ service and dance floor lighting all provided by DJ Kanoya. 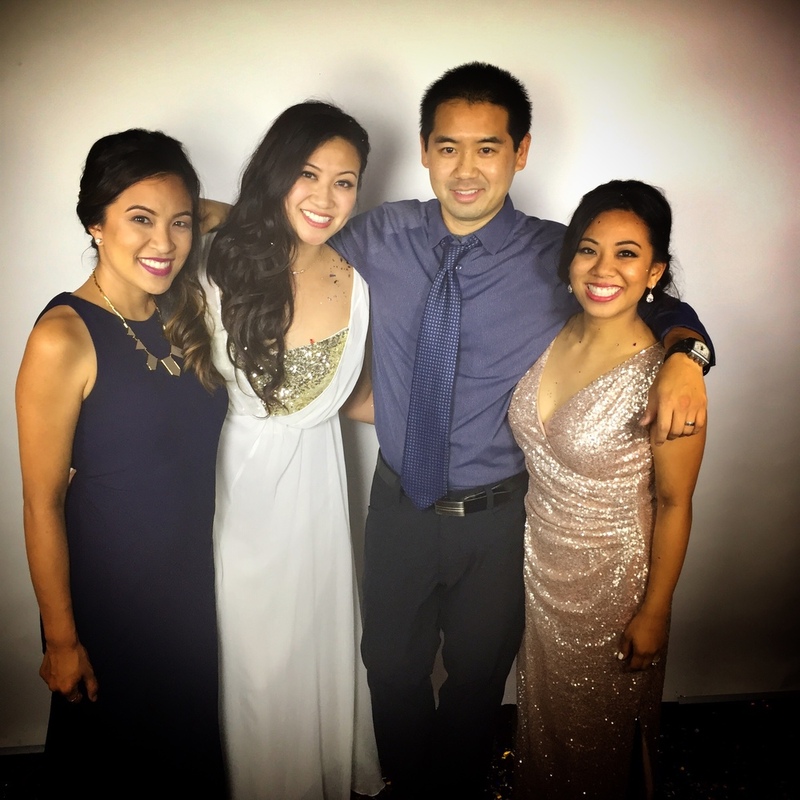 I've DJ'd the weddings of all three of these lovely ladies. A wedding cake with a spotlight nicely illuminates this focal point of every wedding reception. What do you get when you have 16 members of a wedding party, bride, groom and another 100-plus guests? Some good times in the slow motion video booth. Angela and Kris’ friends did pretty well. For more insight on this wedding, check out my setlist and the amazing pictures from the Youngrens photo team. San Diego DJ, Justin Kanoya, performs at the 2015 Hotel Del Coronado Flag Day Concert. He was the opening act for the Gary Sinise's, Lt. Dan Band. On Flag Day 2015, the Hotel Del Coronado was the location for a fun concert on the beach. The featured act, The Lt. Dan Band, led by actor Gary Sinise. Leading up to the show, the Del had me warm up the stage and crowd with a DJ set. It was an honor to open up for the band and was such a great experience for me to be on the big stage and DJing in one of the most popular beach location in the world.